Having a busy lifestyle not always leaves enough time to prepare an ideal two-course dinner. 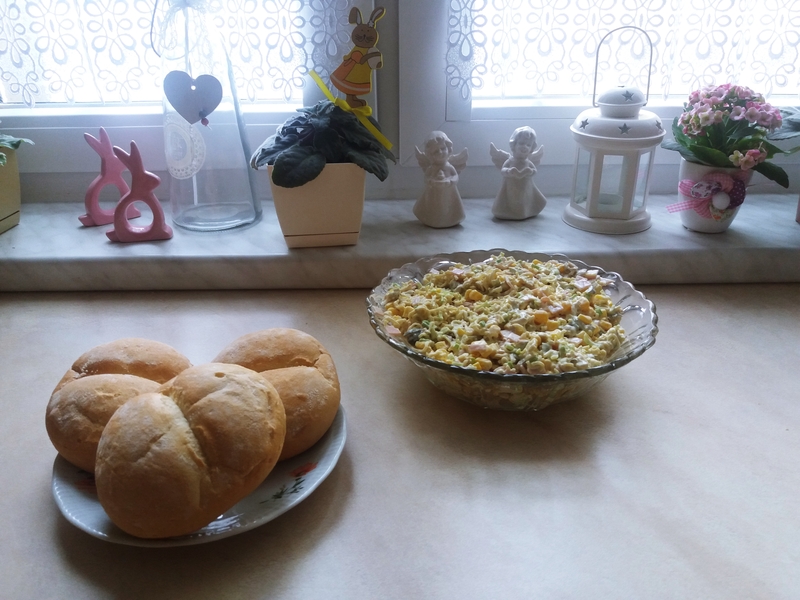 Who wouldn’t like to have cooked over a slow flame hunter’s stew (bigos) or stuffed cabbage (gołąbki) prepared according to our grandma’s recipe? However, our life has often something completely different in store for us … and suddenly, being in a hurry, we experience self-satisfaction while devouring a fresh slice of bread with such a prosaic liverwurst. At the moment, I also lack time, even though I’m rather a poor cook. Spending hours on checking heaps of works, documents and trying to fill in the gaps in the register book, which shouldn’t have been there for a long time, I simply forget about my need for food, until the time, when my starved, long forgotten stomach starts dramatically rumbling and reminding me of its existence The best way to satisfy your organism is to prepare an easy, yet a very delicious instant noodle salad, different variations of which you can easily find on the Internet. Put instant noodles into the bowl. Crush them into small pieces, add instant spices and pour everything with a glass of hot water. Leave noodles for a moment until they get soaked, stirring from time to time. Dice ham, champignons and gherkins. You should drain gherkins off to get rid of unnecessary juice. Next add the ingredients to the noodles. Add strained corn and finely chopped leek. Mix everything with a few tablespoons of mayonnaise, so that the salad is neither too dry nor too wet. Sprinkle everything with a pinch of salt and pepper to taste. Before serving chill the instant noodle salad in the fridge. It tastes best with fresh bread and hot tea. Bon Appetit!